When I first heard of ‘smart ring‘ devices, admittedly I was apprehensive. I love my smart watch, so why would I possibly need another connected device just inches away from my wrist? 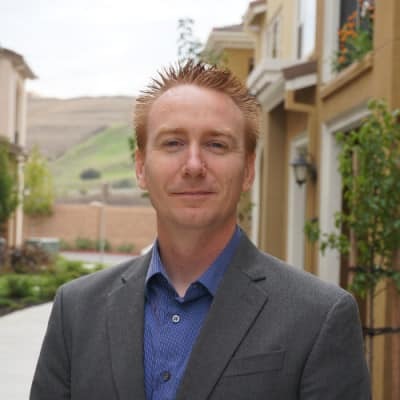 Yet, I decided to give it a try so I could make a decision for myself and my connected lifestyle – and immediately, I was hooked. So I started looking for the best smart rings on the market. Not only did the smart ring make me feel much less reliant on checking my wrist and phone every few minutes, it was so much less invasive than I thought. Read on for more about smart rings, and I’ll even tell you which we chose as the best. What is a Smart Ring? 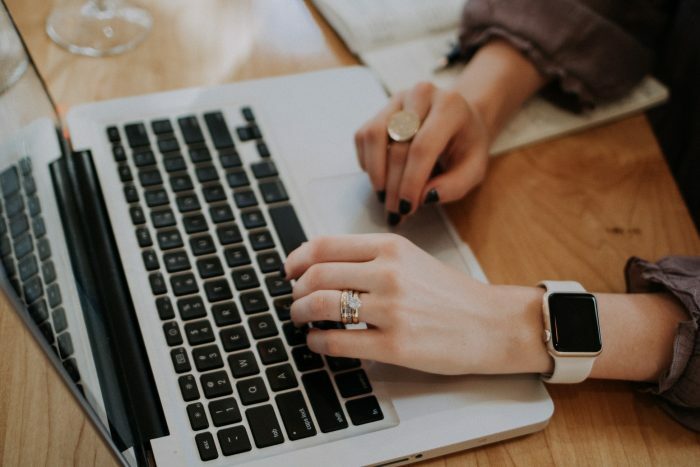 A smart ring is just like a regular ring, though it’s connected via Bluetooth to your smartphone so you can receive notifications. Personally, I love my smart watch (I have an Apple Watch that I can’t live without) though I found myself checking my watch far too often, especially when I was out with friends. 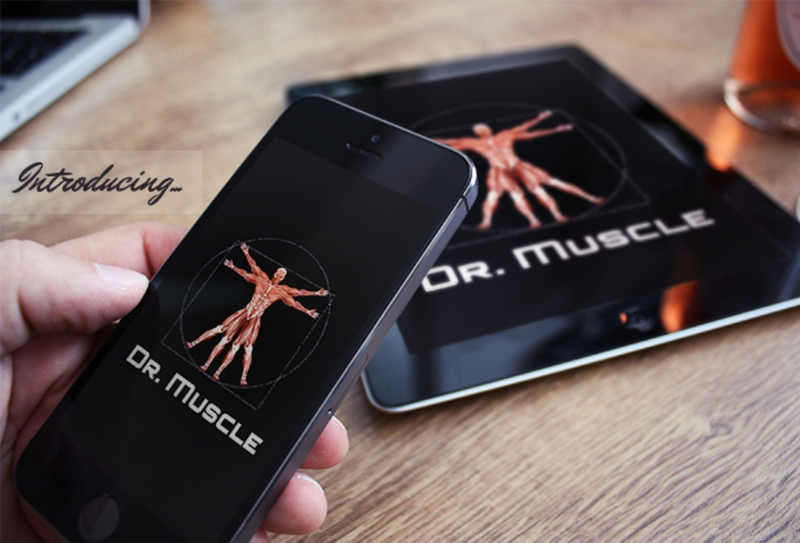 Smart rings are far less invasive. Super easy! Simply connect via Bluetooth and you’re good to go. How much do Smart Rings cost? Smart rings vary in price. I’ve included rings that range from $30 to $150+ on this list. Choose whatever fits best for your wallet. Based on our research and reviews, here are the best smart rings in the market today. Are you active? 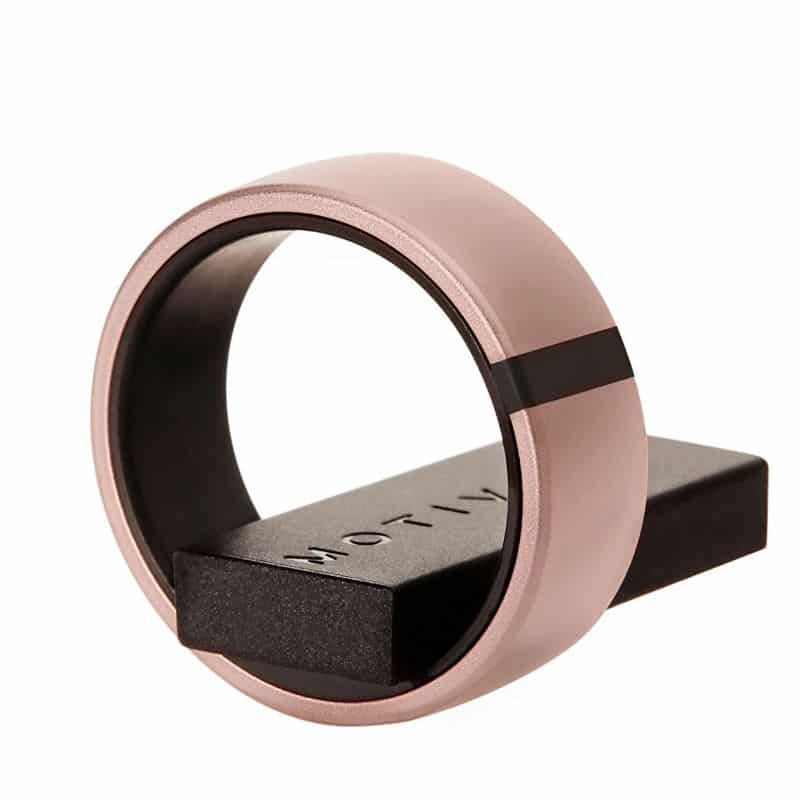 The Motiv Smart Ring is totally for you. 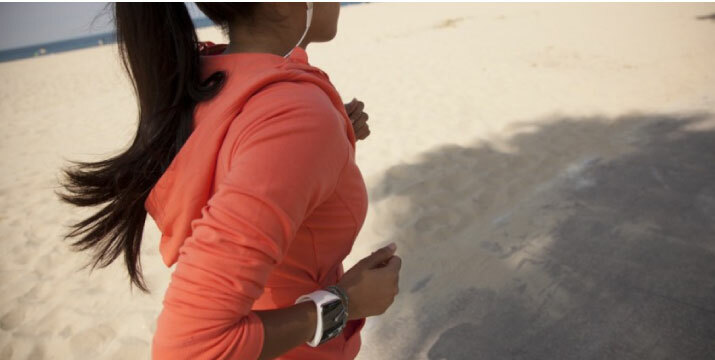 I exercise daily, and I’m always on the go – so I need smart gear that will work with me. I’ve found my perfect wrist wearable, and now I’ve found my perfect smart ring – the Motiv. It’s my favourite of the smart rings on this list. This smart ring is a sleep and heart rate tracker for iOS devices. It’s also waterproof, counts steps, and calculates your calories. The best part, and probably my favorite, is that it’s super thin (0.1 inches thick) and weighs less than a penny. Instead of lugging around a large device on your hand, the Motiv really packs a punch. If you’re ready to track everything about your life – I mean everything – from exercise to sleep, Motiv is for you. This is for those individuals who are always on the go and love these smart rings. If you have an Android in your pocket right now, this is one of the smart rings that you’ll love. Let’s be real. There are two people in this world – iPhone and Android users. While I might be an iPhone user (and Apple Watch, MacBook…you know the drill), I appreciate the beauty of Android. 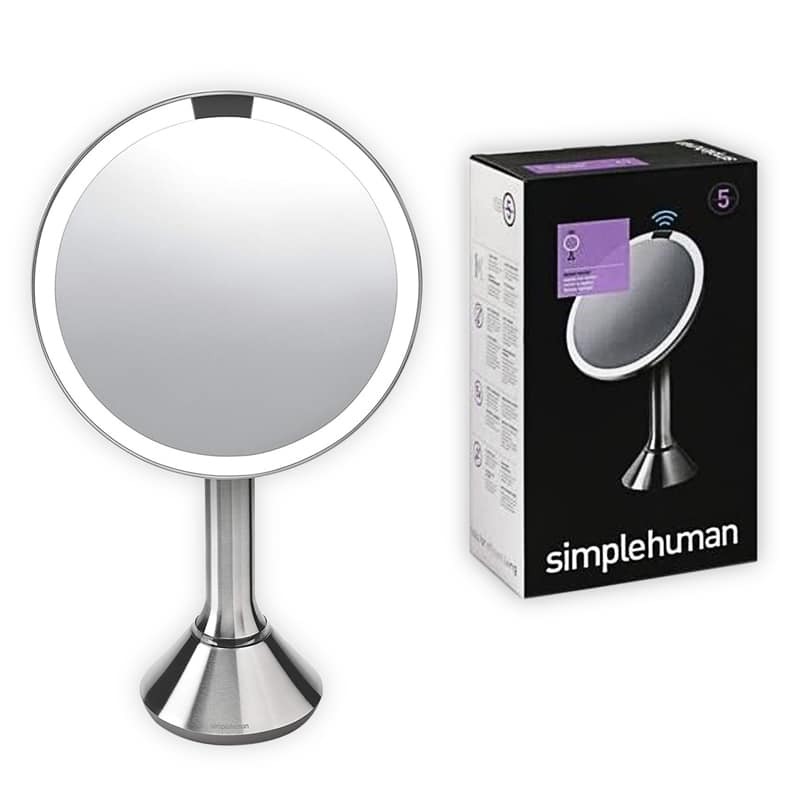 For those who are Android users, it’s excellent to find products that are made just for you. That’s exactly what the Jakcom offers. 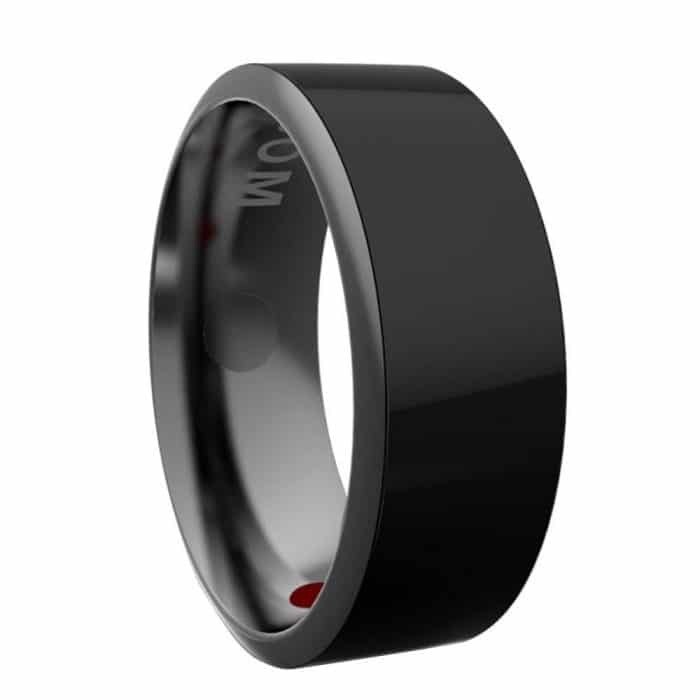 It’s a smart ring that is made of Germanium, a kind of rare metal, and only supports Android and Windows Phones. 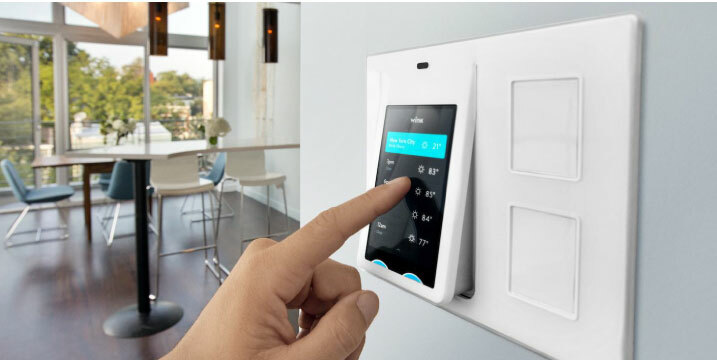 The Jakcom can connect as a NFC card reader and can act like a door lock or cellphone to unlock, pay or share information. Think about the possibilities! 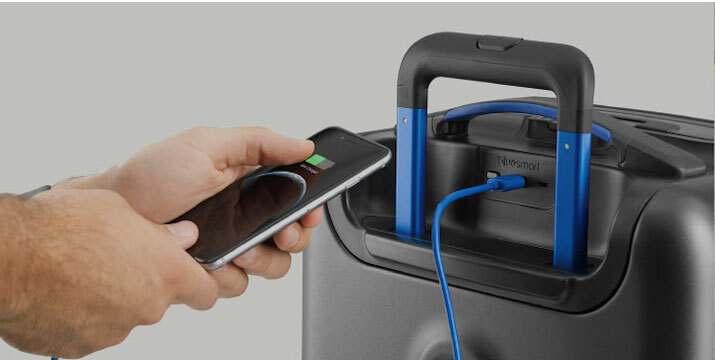 The Jakcom is an excellent option for Android users, as this ring only connects to Android and Windows devices. Made of ceramic, this is one of the most unique rings on our list. Looking at this smart ring, you wouldn’t even know that it connects to other devices. 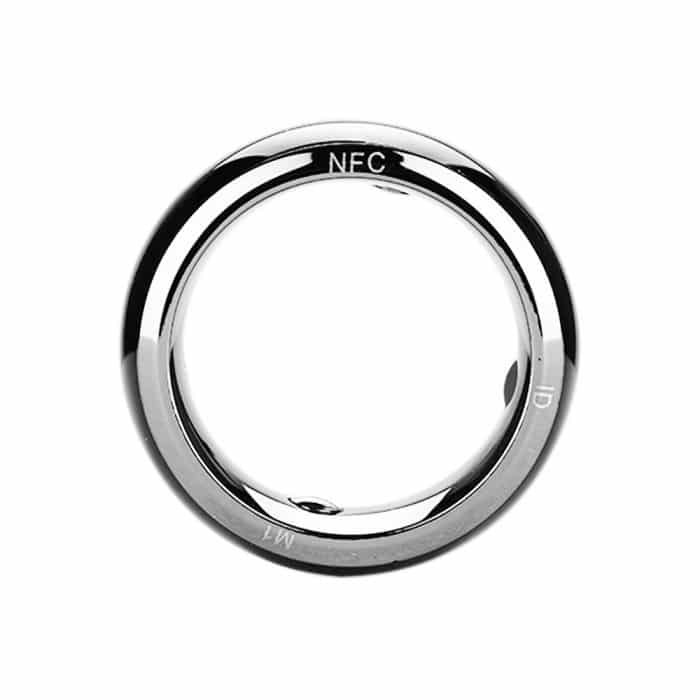 The Keydex NFC is a multi-function ring that enables you to share information or unlock your phone. The associated web application can edit name cards, web addresses, text and perform instant sharing through the ring. Simple, practical – and wouldn’t you know, this ring is made from ceramics, ensuring it’s both hard and resistant to scratches. 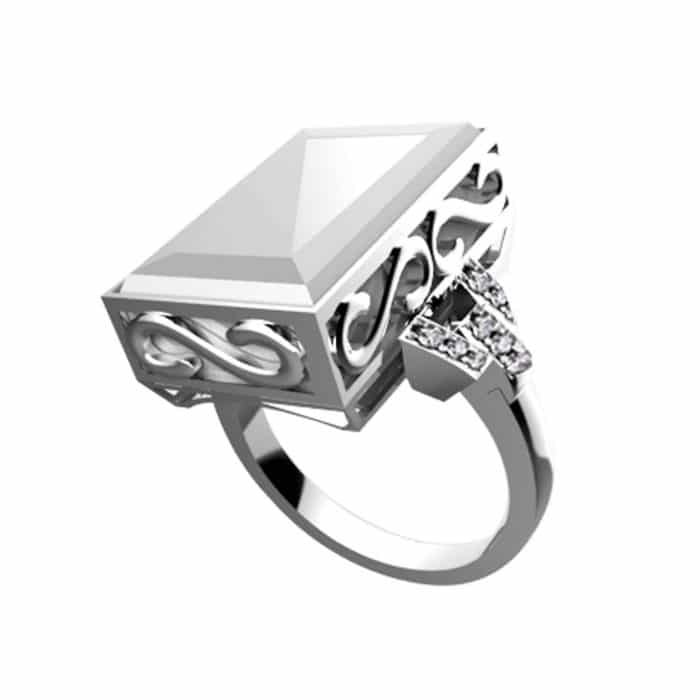 The Keydex is a beautiful ring that is sure to fit the hand of any female. 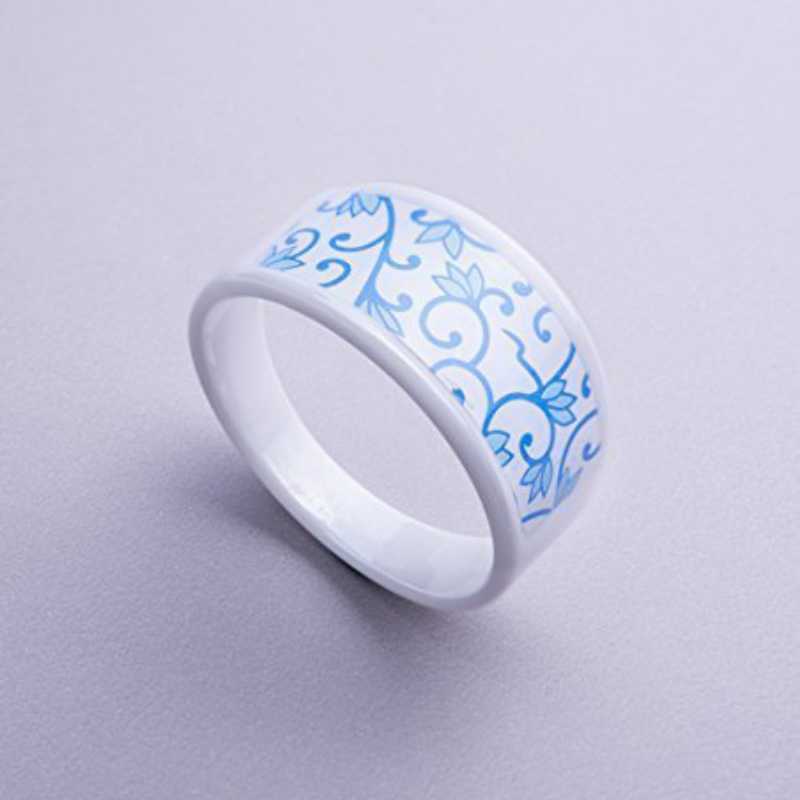 Fine ceramics are the material that makes this ring what it is. 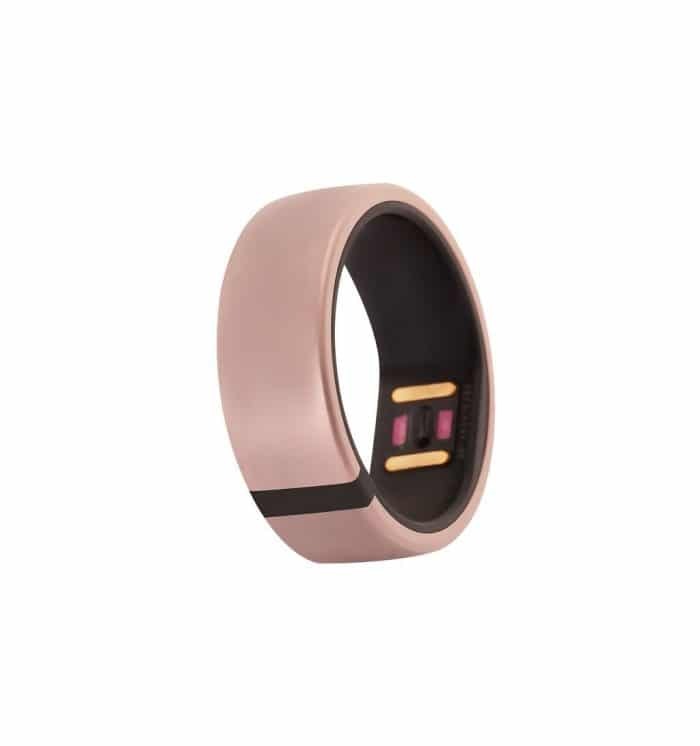 When I first saw this smart ring, I thought “Wow!” It’s certainly a ring of beauty, as it is simple and sleek, yet packs a sure punch with many options and features that are sure to impress. The Sopear Titanium Waterproof Smart Ring enables users to communicate with your phone, listen to music, unlock your phone and more. It doesn’t need battery charging as the chips within the ring are equipped with a wireless module to convert the power to energy. Amazing, isn’t it? The smart ring is compatible with Android and NFC function. 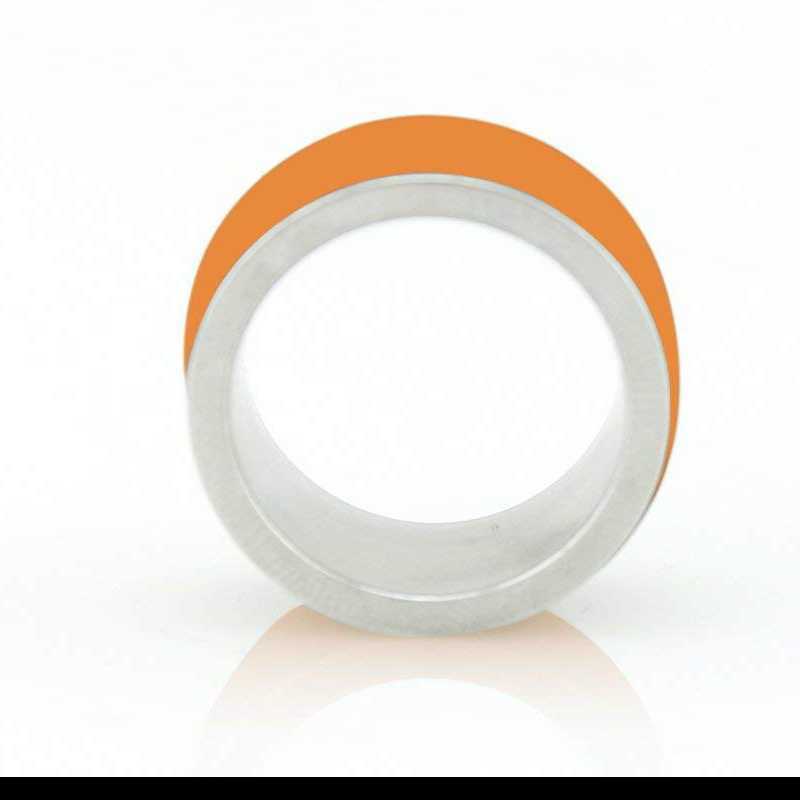 You should get this ring if you are searching for a sleek, sophisticated ring that has plenty of features. Unisex is in. Why not make your rings Unisex? When shopping for traditional rings, there are two categories you can shop in – women and men. I often find that jewellery stores are so behind their time; however, that’s not to say that we can’t lead the way with sharing some of our favorite multi-gender pieces. The LYCOS Life NFC Smart Ring is just that. 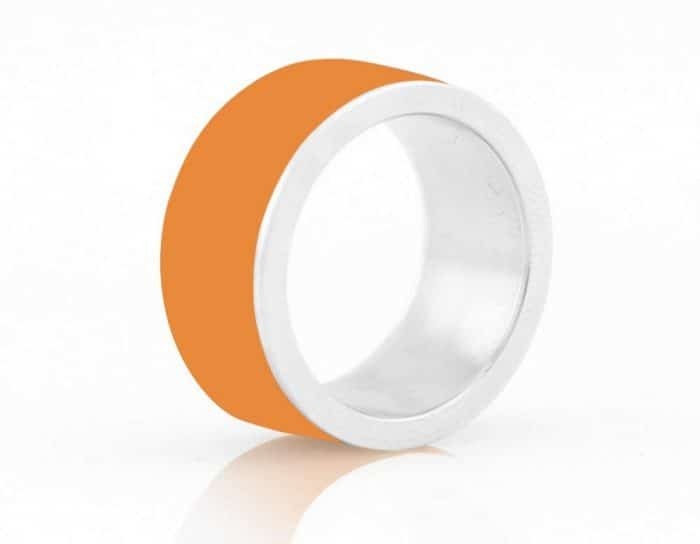 It’s a quality stainless steel ring with silicone overlay that connects with your phone to do simple tasks like unlocking your phone, act as a personal security manager, provide wireless tap to transfer functions through NFC and more. It’s also waterproof! 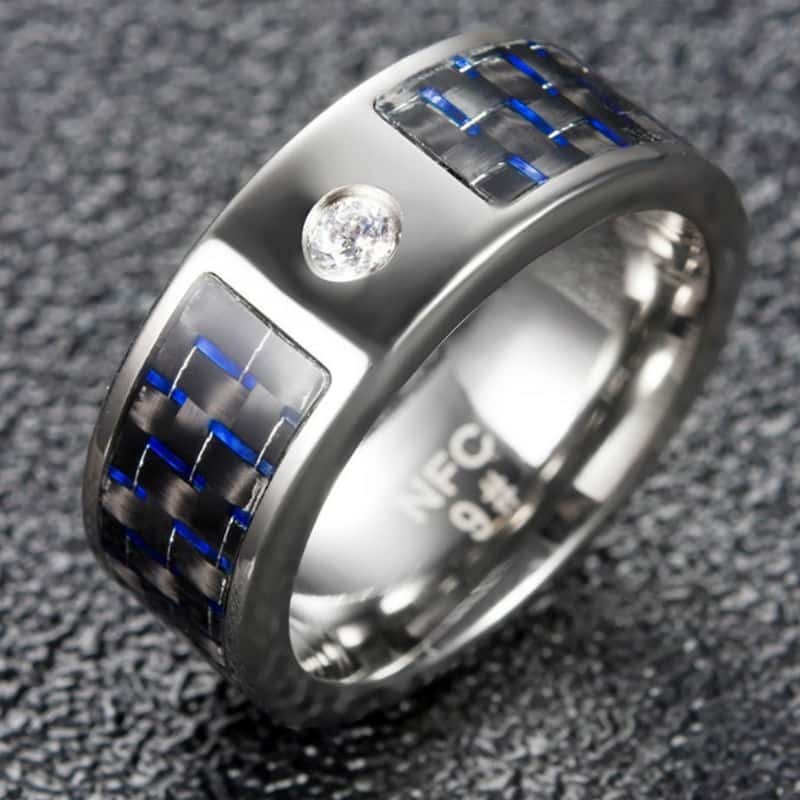 At a relatively low price point and barter to entry, the LYCOS is a great Unisex ring option. This is for users searching for NFC technology. Whoa! This ring is surely something to behold. When I first heard of the 7 Smart Ring, I was impressed by the mock-up images that the company delivered. It’s a beautiful, large ring that is perfect for the individual who is searching for an intricate, “wow”-worthy piece of jewelry. 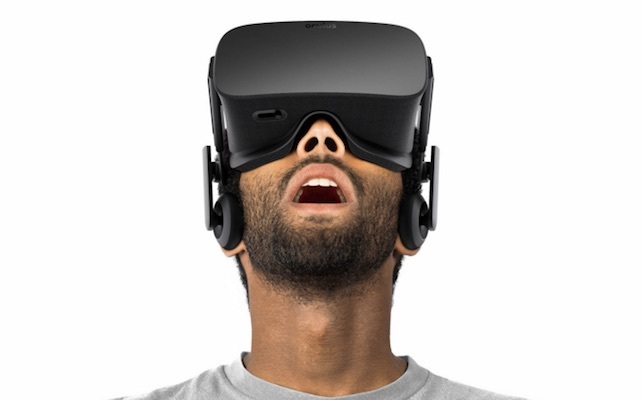 Then, when I saw the user images on Amazon, I was even more impressed. This smart ring can fit in with the best of the best in terms of rings, and blends in such a way that you wouldn’t even notice it’s “smart”. I really admire 7 for taking a risk with this piece and really excelling at the design. It’s impressive, and is excellent for the individual who also isn’t worried about taking a style risk. When it comes to wearing rings, you need to find the perfect one for the man in your life. My partner doesn’t wear jewelry very often, so he’s very particular on what he wears when he does don a watch, ring or other piece of bling. That’s exactly why I love the Titanium NFC Smart Ring. Not only does it looks great for a masculine hand, it functions well and is reliable, according to reviews. 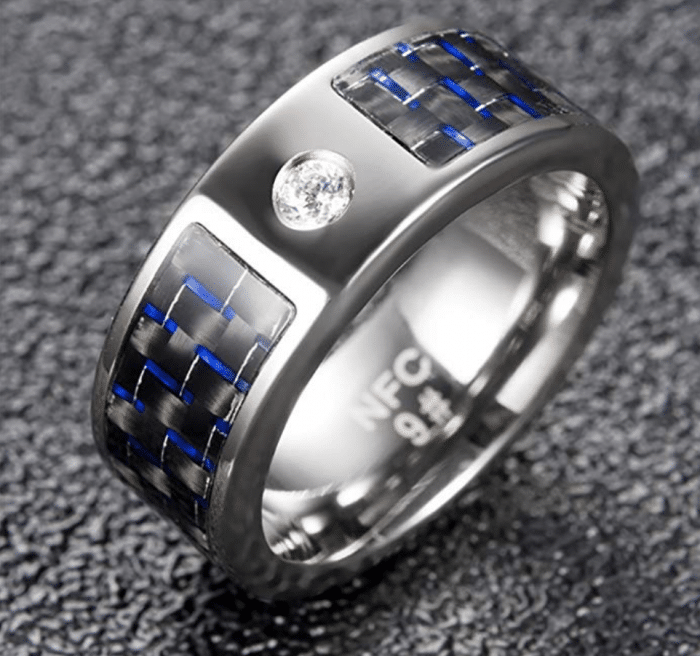 The ring’s technology is NFC (near field communication) so it enables other NFC devices to communicate with one another. The smart ring can store and exchange personal information, unlock your phone device, quick start applications on your phone and more. 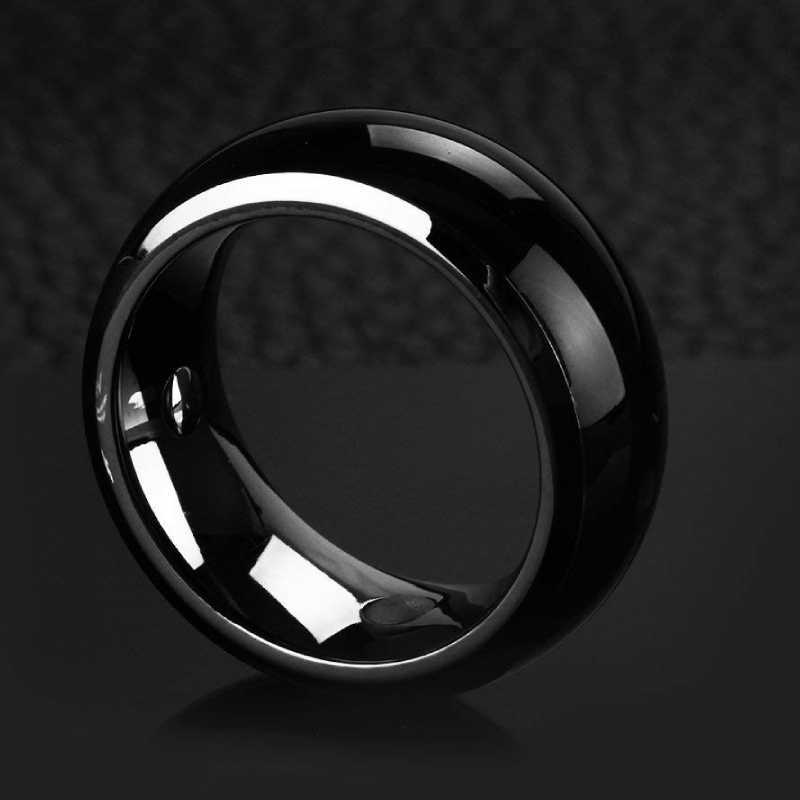 It’s certainly a base level ring, and is a great introduction to the smart ring product. This is the perfect piece of jewelry for men who like simplicity. It’s not “bling” by any means, making it the ideal piece for a simple, masculine hand. 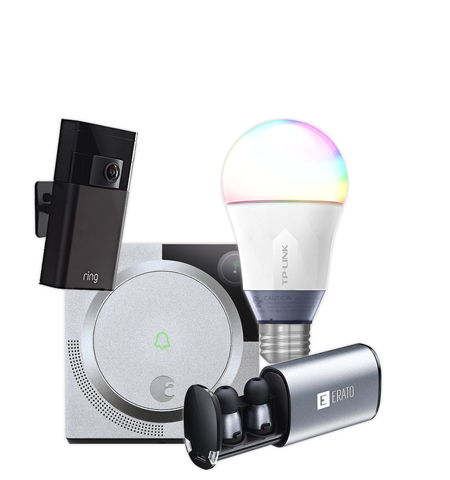 Smart things are so practical and functional, I truly had no idea before I tried it for myself. 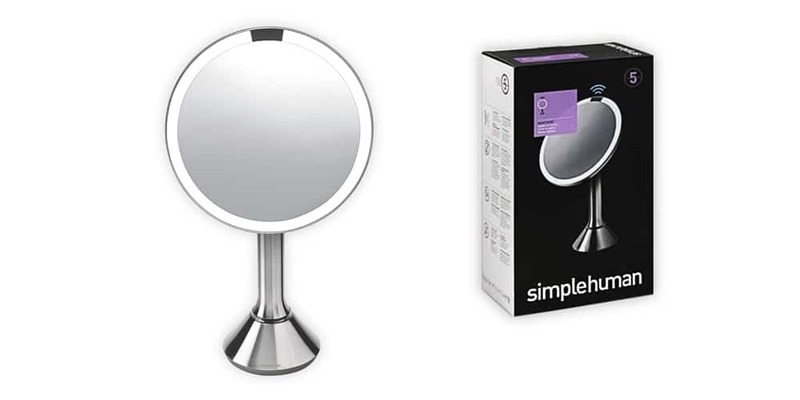 As I mentioned when I started this review, I was so focused on smart watches as a means to make my life easier, simpler as it connected to my smartphone; however, smart rings showed me just how easy it is to stay connected, without being tied to a smart watch that buzzes every 10 seconds. While I won’t get rid of my smart watch, I will certainly be wearing my smart ring in conjunction with the watch to add truly incredible value and connection to my day-to-day. Here are the best smart rings comparison. 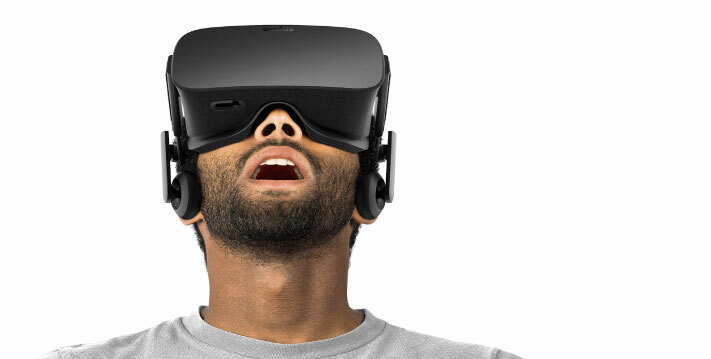 Would you consider using one of these smart rings? If you have a smart ring of your own, have you found that your day to day living is easier, more connected and practical? I would love to hear what you think. Please do leave a comment below!